They don’t make movies like Bridge of Spies anymore, which is all the more reason why you should go see it in theaters. It is a breathtaking monument to classic filmmaking that works both as homage and a dissection. Though the trailers gave away the basic thesis of the film the actual movie is so much more. The first half feels very much like an all-American courtroom drama very much in the vein of Mr. Smith Goes to Washington. Spielberg take that foundation, of wholesome late 1950s America, and peels back its layers to show the underlying paranoia and prejudice that everyone seems to gloss over. Tom Hanks is the perfect everyman for the role of James B. Donovan, a high-level insurance negotiator with a background in criminal defense. Called upon by the U.S. government to be a third-party defense for Russian spy Rudolf Abel (Mark Rylance) he is committed to giving his client the due process of the law at any cost. Tom Hanks brings his best performance in years with Bridge of Spies. Donovan is the kind of noble character that used to pervade classic cinema, he is noble to a fault and willing to go up against overwhelming odds because it is the right thing to do. He is the kind of hero that cinema seems to have forgotten about, replaced with the dark anti-heroes of the modern age. The second half is much more riveting as the audience is thrown into Berlin at the height of the Cold War. Watching the Berlin Wall get built as both sides stumble into turmoil and chaos is riveting. Spielberg, ever a master of historical drama, sets up beautiful set pieces that while minimalistic by his standards give the audience a real sense of danger and paranoia. Something needs to be said for the screenwriting as well. With most of the dialogue written by Joel and Ethan Coen each scene is its own beast that manages to build upon the previous, going all the way up to the beginning. The entire film, even with its grand scale, boils down to a single throwaway conversation that happens before the main plot kicks into gear. It is a testament to how good the Coen Brothers are that they can pull off such fancy footwork within the script. 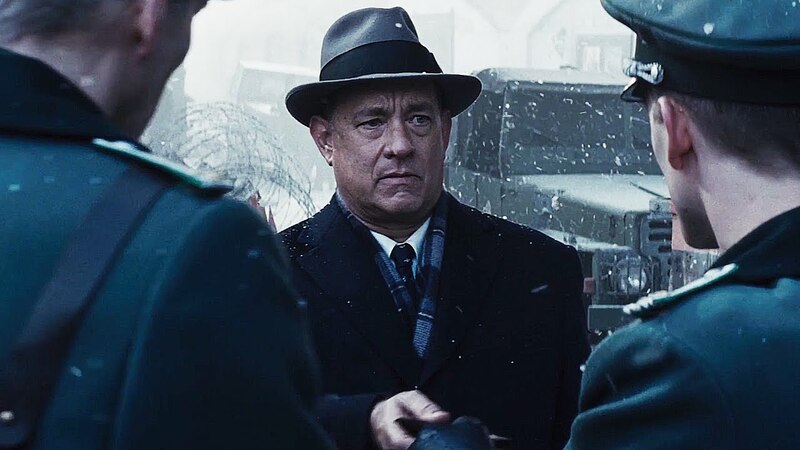 Spielberg once again proves why he is a master filmmaker with Bridge of Spies and while it might move a little slow for modern audiences the payoff is well worth it. Indeed, the messages that it sends about prejudice and patriotism during war is just as prevalent now as it was almost 60 years ago.